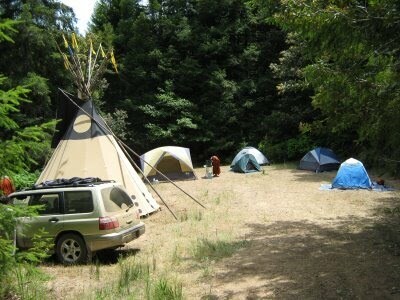 The first Theravada Bhikkhuni Training Retreat in North America was held on our hermitage land from June 9th through 16th, 2009. 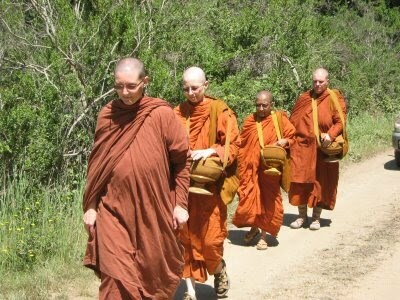 Bhikkhunis came from all around America: Ohio, South Carolina, Minnesota and California. 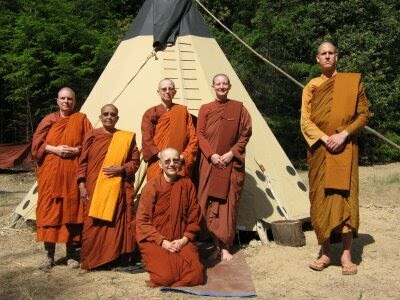 For seven days, led by Ajahn Chandako, a senior Western bhikkhu in the Thai forest tradition, we focused on mindfulness in the forest tradition monastic discipline for our own development and for developing our sense of community - Sangha - with one another. This is a big step for us here in North America, as most of our bhikkhunis have been and are strong, independant individuals. 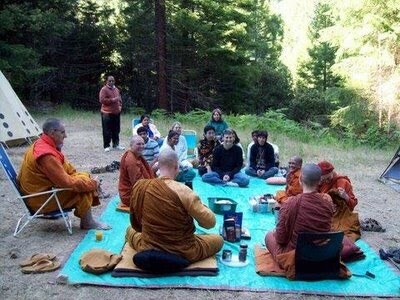 Spending time, learning how to train together as a community - as a sangha - with one another, is a very big step ahead. Born in America, our training teacher, Ajahn Chandako, lived and trained in the Thai forest tradition of Ajahn Chah, and is currently abbot of Vimutti Buddhist Monastery in New Zealand. He spends retreat time each year in the early summer at the King's Creek Hermitage near Vajrapani in the Boulder Creek area of the Santa Cruz Mountains. Many thanks to all friends who made this historic first training retreat possible, especially: Jill, Ruwinie, Christopher, Jerry (Jinaraso), Brenda, Kemanthi, Joan, Asha & friends from Sacramento, Supatra, Sima & Siman, Jacqueline & Nai'a Rose, Shari, Brian and family, David and tipi.com, Dominic & Gaora, Judith, Jeannie & Kitty, Khun O, Liz, and especially Ajahn Chandako.